Heat shield available, sold separately. 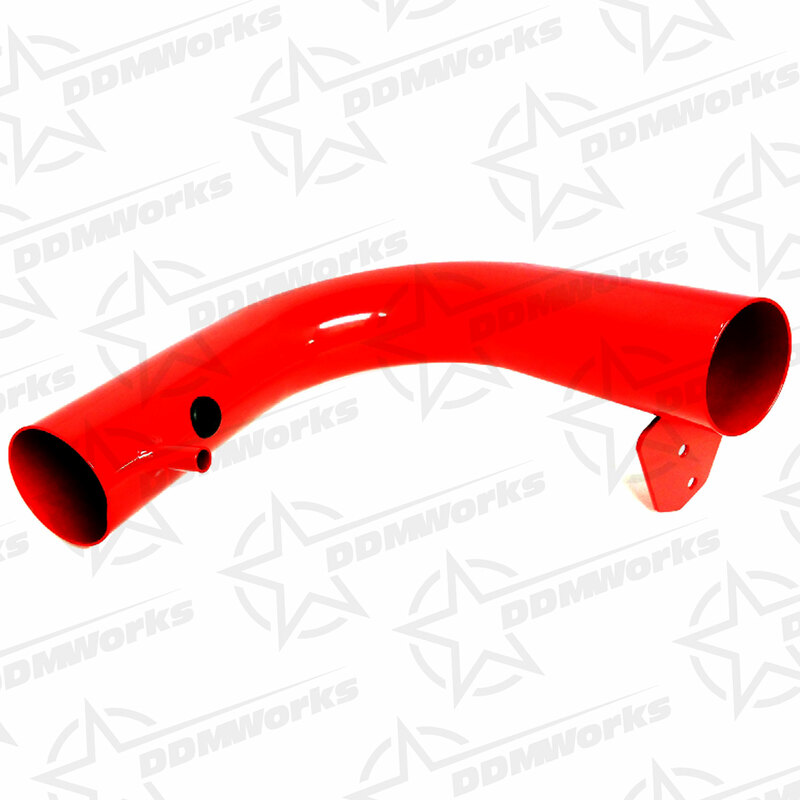 The DDMWorks Street Intake System is a free-flowing, mandrel bent aluminum tube air induction system designed exclusively for the Polaris Slingshot with the 2.4L engine. 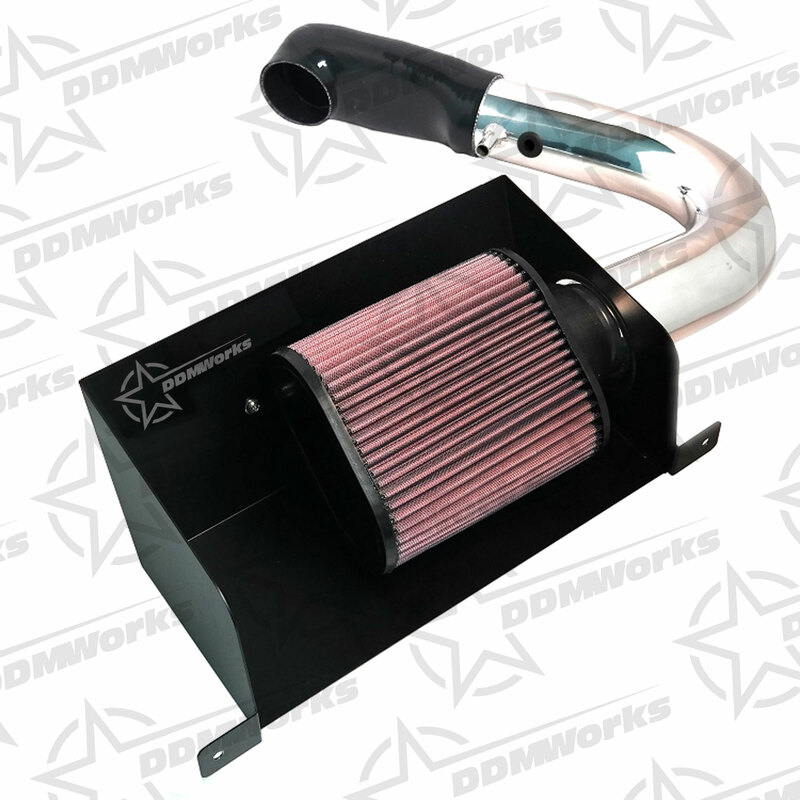 The restrictive factory air filter assembly and intake tube are replaced entirely by the DDMWorks street intake which was designed to dramatically reduce the air flow restriction as it also smooths and straightens airflow into the engine. This allows your engine to breathe in a larger amount of air than the factory air intake. More intake air means more usable power and acceleration throughout the engine's entire RPM range. 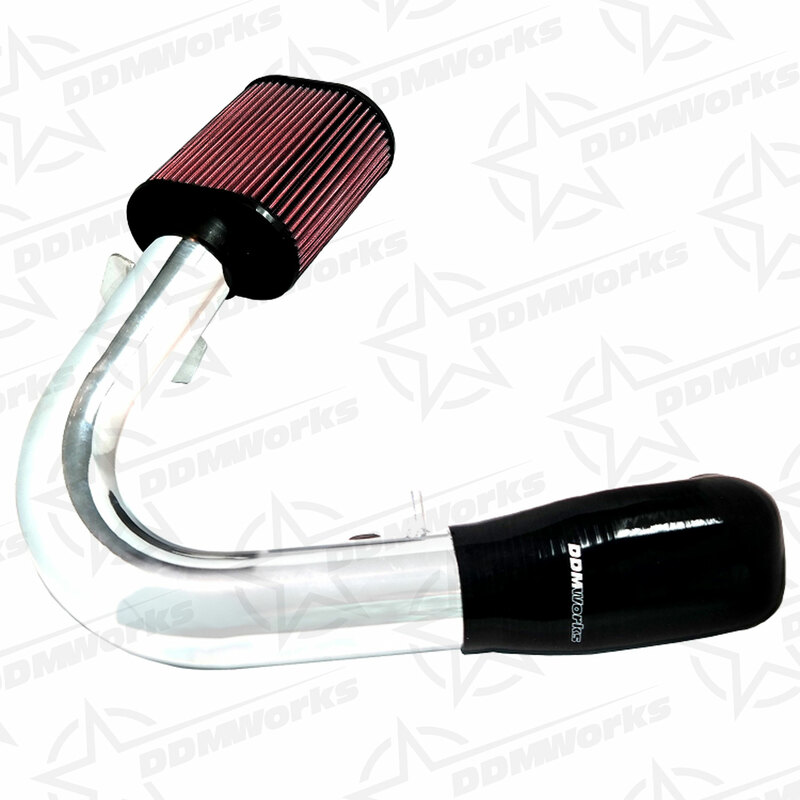 The DDMworks street intake system comes with a custom in house designed silicone coupler to make the transition to the throttle body from the aluminum intake tube. 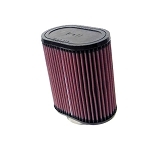 We also use a genuine K&N filter with to reduce the pressure drop across the filter and enhance air flow. The intake tube comes standard with a polished aluminum finish that looks great in the engine bay, custom powdercoat options are also available. 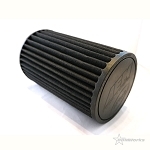 The air filter can be used for up to 100,000 miles before needing to be replaced and is cleaned easily during its service life. 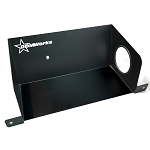 The intake is relatively easy to install, usually requiring less than 60 minutes to complete the entire job. No soldering or cutting of any wiring is needed. The tools needed for the install are standard tools found in most tool boxes. A heat shield is also available and sold separately. Waited until DDM worked on their CAI. Purchased it, installed it last week. I had already installed a header and custom muffler system. Installation was easy with basic tool, instructions were clear. Am pleased with performance. No dyno access but the engine seems to breath easier, idles down better, and definitely more responsive. 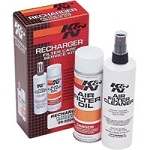 Am very pleased with the product and would recommend it.